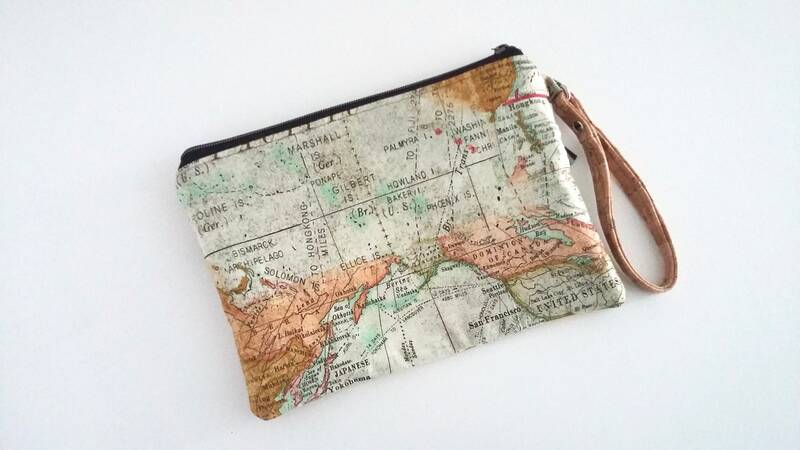 A flat style zipped clutch in this Vintage Maps print from Tim Holtz featuring countries such as Australia, the United States, Canada, China, Japan, Mexico and Korea. 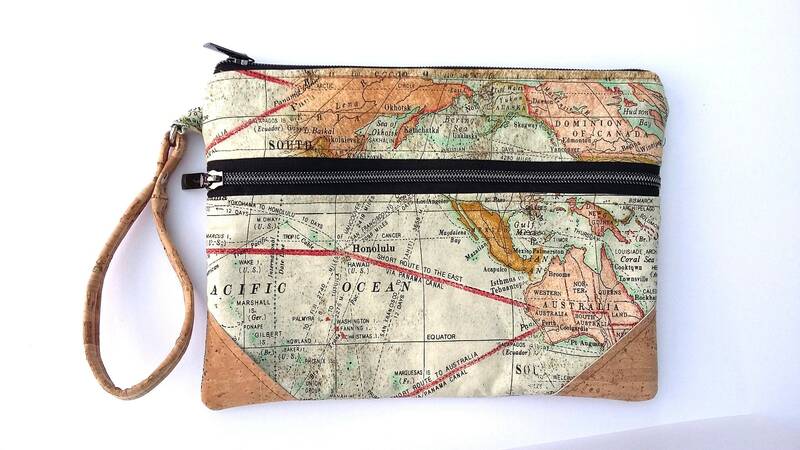 Some of the cities on this particular bag include San Francisco, Chicago, Los Angeles, Quebec, Montreal, Vancouver, Acapulco, Hong Kong, Sydney, Yokohama. 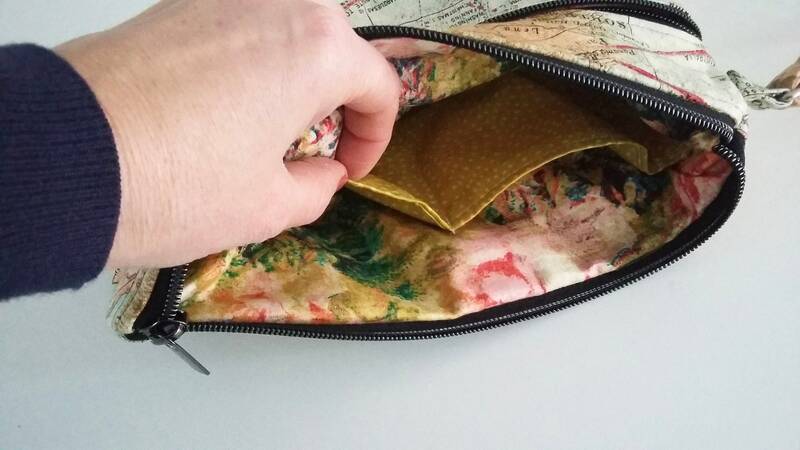 The front of the clutch has two cork decorative triangles at the base, a full width zipped pocket lined in vintage postcards from the same collection by Tim Holtz, and there is a top zip to close. The zips are black with chunky gunmetal zip pulls. 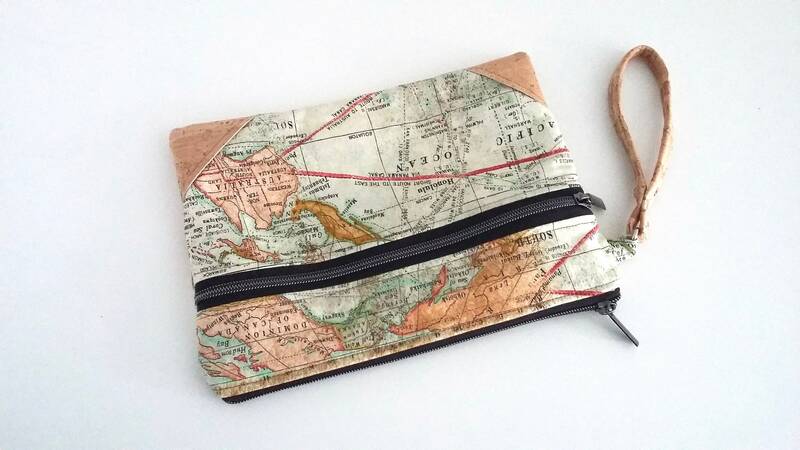 The clutch has a cork wristlet strap. Lined in a floral print from the same fabric collection, with a further two small credit card sized slip pockets inside. Two layers of woven cotton interfacing give a soft structure to this bag. 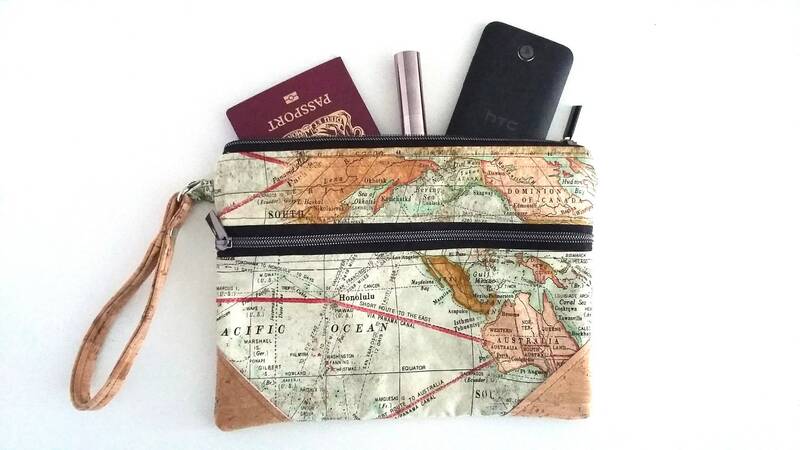 A versatile clutch bag for carrying the essentials on a day out or any special occasion...it can also double up as a travel wallet for your passports and other valuables or to carry a small gadget. Measures 10.5" (26.5cm) wide x 7" tall (18cm). 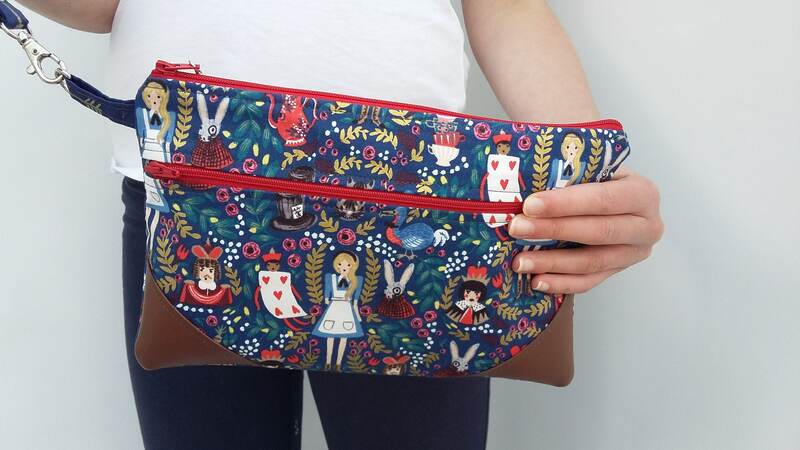 See last photo of another clutch bag for an idea of the size. 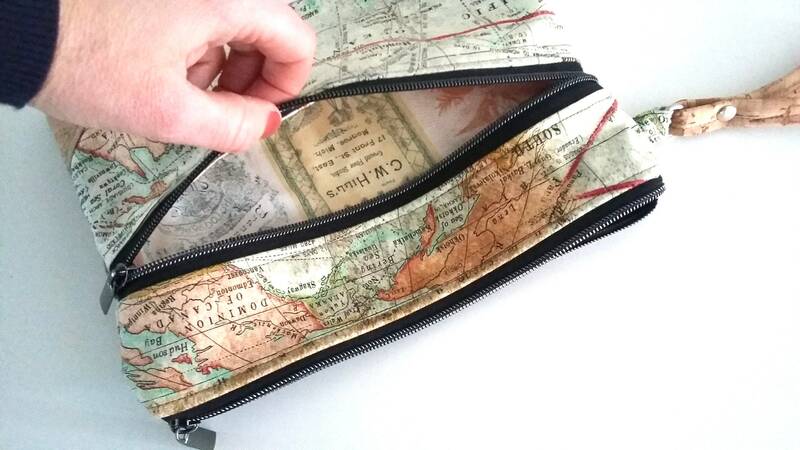 Delivery is 1-3 business days with tracked UK postage or standard international shipping with proof of postage.